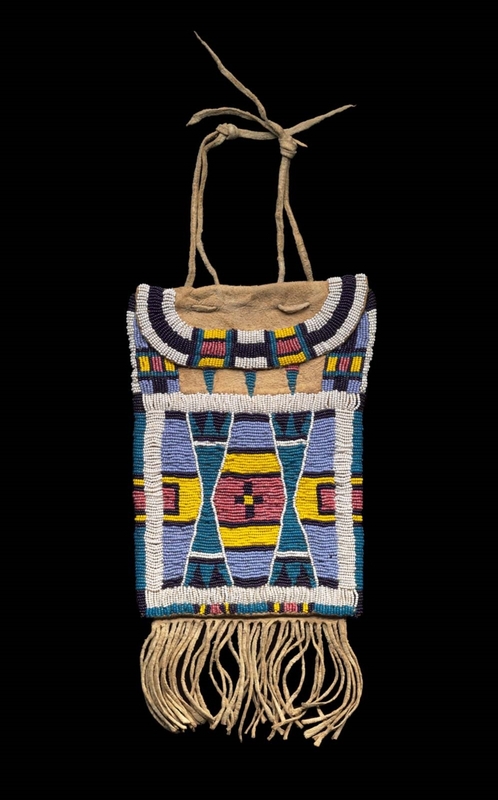 Rectangular buckskin pouch with short, rounded flap and short fringe at bottom. Front decorated with beads in white, yellow, pink and shades of blue. Undecorated back.